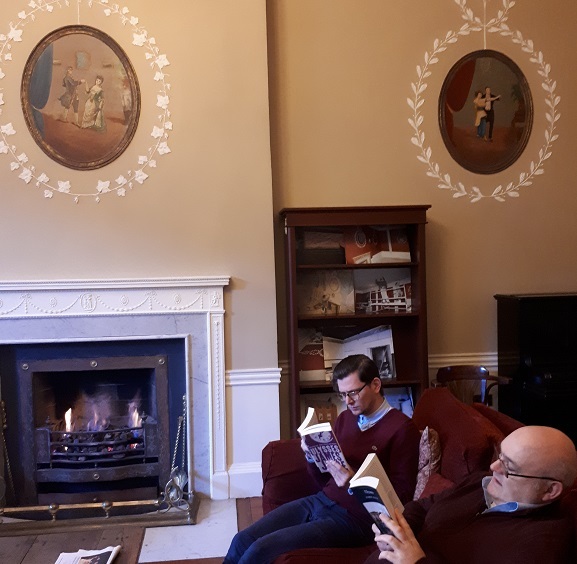 Join us every Friday lunchtime at the James Joyce Centre from 1st February to take on Ulysses, the big blue book of Eccles. We’ll start reading at page one on Friday 1st February and progress through the book each week. If we’re lucky, we’ll get to the end in time for the Bloomsday Festival in June. It will be a unique experience to read this iconic work of fiction together. Copies of Ulysses are available to borrow each week, or bring your own well-thumbed favourite. Participants are invited to read a page – what better way to spend Friday lunch time? Get Ulysses read for Bloomsday. Cost: €3 (Including admission to the Centre: €5 adults/4 seniors & students) drop-in.